Many people try to hide them. Some change (or refuse to change) their hairstyle in order to work around them. Some even tape them down at night. Do you know what we are talking about? If you said “Ears,” then you are correct. The ears are a relatively subtle facial feature; however, if they are damaged or misaligned or involved in a traumatic injury, they work against a person’s appearance. The ears are an important feature for creating symmetry and balance to the overall facial aesthetics. Many people feel self-conscious about the size, shape, or projection of their ears and wish to have a cosmetic procedure done to recreate their appearance. Others have found that blunt trauma has greatly affected the appearance of their ears, and because their injuries are so severe, plastic surgery is required. 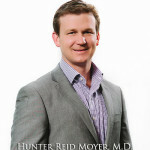 Dr. Hunter Moyer is a board certified plastic surgeon with world-class training and experience in ear revision surgery. The ears are made up of cartilage, which is a stiff, yet pliable, substance in the human body. Because cartilage is “forgiving” when it comes to being manipulated, ear revision surgery is a very successful procedure for those with injured or deformed ears. Ear revision surgery can be both cosmetic and reconstructive to correct any deformities in the ear. Because severe trauma to the ear can actually cause hearing loss or infection, ear revision surgery is often a needed surgery to correct damage. 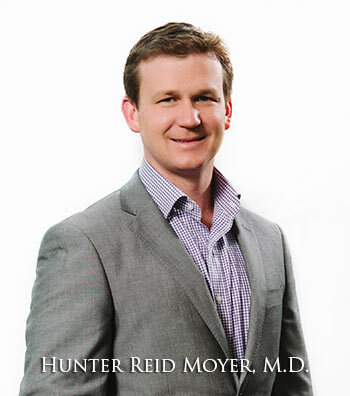 Dr. Hunter Moyer makes it a priority to specifically listen to his patients’ concerns and to educate them, in detail, regarding the recommended surgical procedures. Children, adolescents, and adults can all benefit from ear revision surgery, and Dr. Hunter Moyer is proud to offer his specialized cosmetic surgical care to patients of all ages. Contact our office today to schedule a consultation to learn how ear revision surgery can benefit you.